Chicago is taking the Justice Department to court. Mayor Rahm Emanuel said in a statement provided to Axios that his city will try to force the DOJ to keep giving it crime-fighting grant money, despite the fact that the city doesn't cooperate fully with federal immigration enforcement. 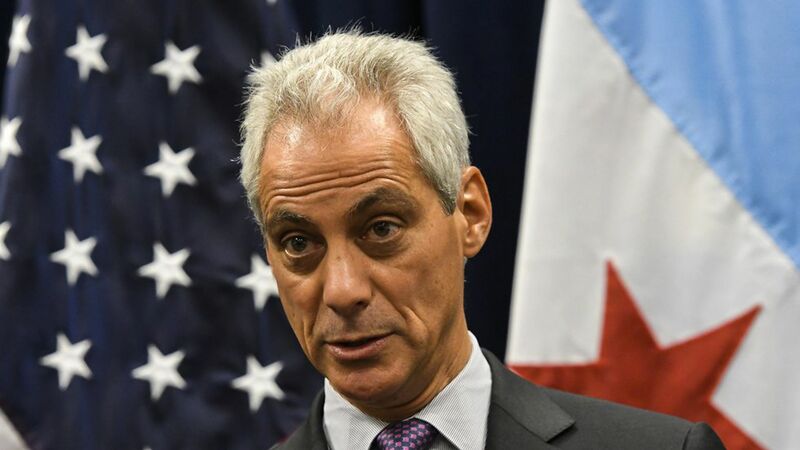 Quote"Chicago will not be blackmailed into changing our values," Emanuel said. Two weeks ago, Attorney General Jeff Sessions announced that if so-called "sanctuary cities" like Chicago don't let Immigration Customs and Enforcement (ICE) agents into their jails, they'll lose valuable federal grants. Over the years, Chicago has used the grants they could lose — known as Byrne JAG funds — to buy SWAT equipment, police vehicles, and tasers. While many law enforcement leaders decry sanctuary policies, a number of local police chiefs across the country defend them. The defenders say they worry that letting federal immigration agents into their jails will erode trust between police and immigrant communities. And when undocumented immigrants fear the police, they're less likely to call for help if they're victims of crime and less likely to testify in court about crimes they witness. The politics are powerful. Trump won a lot of support on the campaign trail by railing against sanctuary cities and highlighting instances of undocumented immigrants killing American citizens in sanctuary cities like San Francisco. Democrats have yet to find a smart way to concisely explain why cities that don't fully cooperate with federal law enforcement should still expect to get federal grant money. Emanuel is trying to lead the way here. Chicago will likely be the first of many cities to sue. An Emanuel aide tells me the mayor is in discussions with a number of other mayors and immigrant groups about joining the suit.